Now that you have the pre-built log cabin you have wanted for so long, here are some simple log home cleaning tips we have found that will preserve the look of your cabin for years to come. Log home maintenance is very important, but keep in mind that this information can be helpful to you no matter what structure you have. 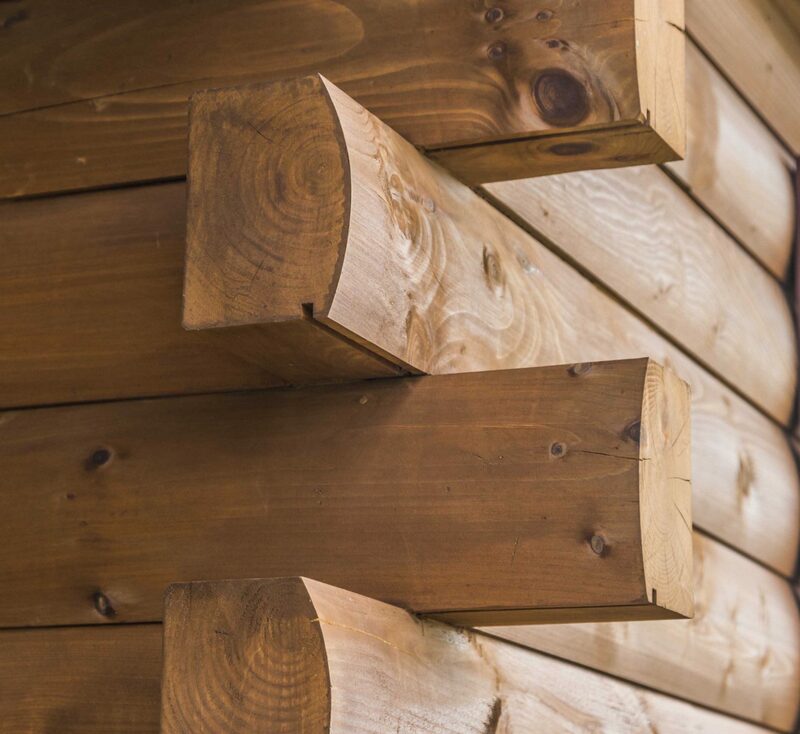 Whether you own a pre-built log cabin or are looking into a kit, you will need to know how to care for it to get the most out of your investment. Keeping your cabin looking as beautiful as the day it arrived isn’t really that hard, but just like anything else, log home maintenance takes a little effort. 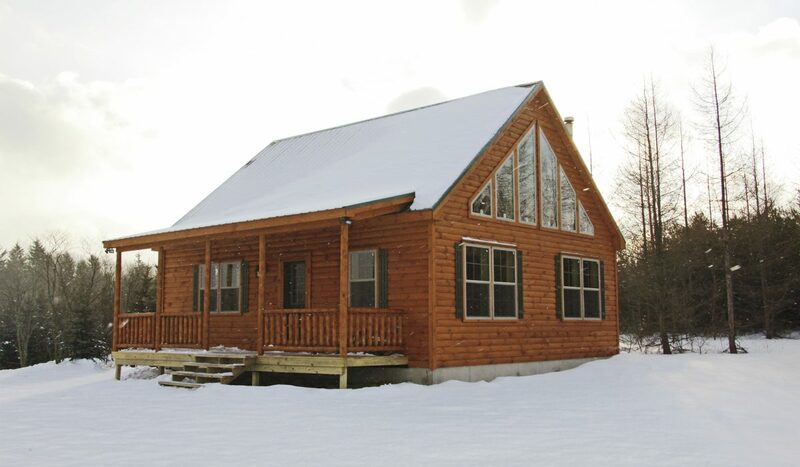 In order to preserve the natural beauty of your cabin, you will need to re-stain the exterior from time to time. It is highly recommended that you re-stain your cabin after 1 year. When we apply your first coat of stain at the factory, it does not set in as deep as you need. So to get the full effect of the natural penetrating beauty, wait nearly a full year, then apply a second full coat of stain. By this time, your cabin will have aged just enough to let this second stain soak in and really last. After that, we suggest that you repeat this process every 2-5 years. The length of time will vary based on exposure to direct sunlight and weather conditions. The more sunlight your cabin gets and the crueler the environment, the more frequently you may want to stain it. We recommend that when you re-stain your building, that you spray it first and back-brush it in to make sure that you get the most out of your efforts. 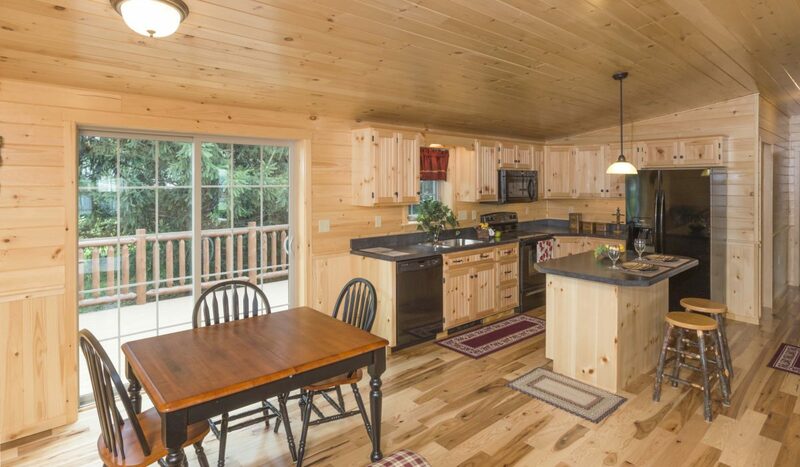 The original stain on our log cabin homes for sale is a water-based product. This stain gives you a professional grade finish which is also environmentally friendly. It is designed to give you the characteristics of an oil-based stain but it still has all the advantages of a water-based product. This particular sealer is custom mixed to create our own custom color.  If you wish to re-finish your cabin with the original Camger Coating Systems product, just contact us at Zook Cabins and we’re be more than happy to work you up a price on the “Cozy Brown” color we used. All the alternative products are deeply penetrating oil-based stains. The colors are similar to the original product on your cabin. All four stains can be used for re-coating your cabin and provide excellent protection and are very water repellent. 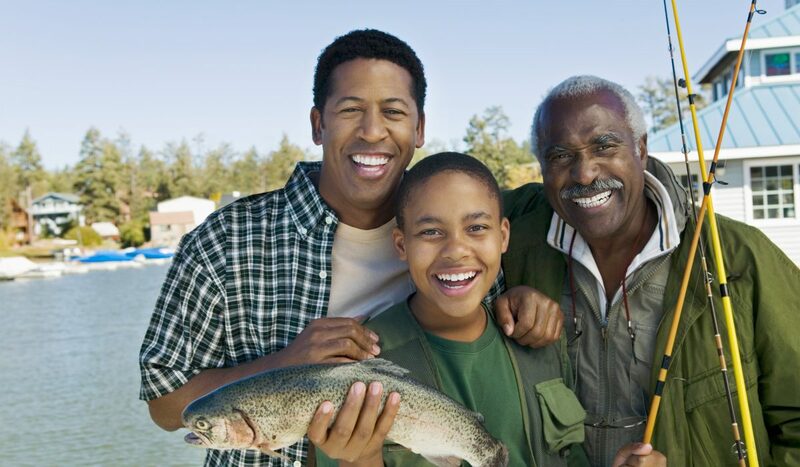 REMEMBER: Your cabin color will darken slightly with each application. We have our stain mixed locally for our own custom color. If you would like we can include the stain that you will need for the first application when your building is shipped. Many of our customers have chosen to do that rather than track down stain for themselves when the time comes. Should you choose to go with a log cabin kit, keep in mind the first coat will not be included. You can sometimes get the manufacturer to do it for a charge and from that point on you will want to use a similar staining schedule as we recommend for our log cabin maintenance plan. Your pre-built log cabin’s finished interior will come with a clear coat finish. This gives the wood of your interior a beautiful, bright glow, while at the same time making cleaning up very easy. You can clean your walls and floors with a gentle household cleaner and a wet rag. You may find that some wood floor cleaners will work very well and help your floor to maintain its original shine. Make sure that if your cabin is located in an area where the temperature drops below freezing that you either leave a small amount of heat on, or blow all of the water out of your pipes. Make sure if you are blowing out all the water that you do not forget about the hot water heater. Here are some simple how-to’s about caring for hardwood floors. This is an easy how-to with good basic information for every cabin owner. Since water is a wood floor’s worst enemy, get rid of water right away! Remove wet spills ASAP with soft towels or a wet/dry vacuum, then dry thoroughly. Use a very dry damp mop when mopping polyurethane wood floors, since excess water can seep into seams and ruin a wood floor. If possible, do not wear heavy shoes or high heels on hardwood floors, as some heels can cause dents. Never drag furniture or other objects across a wood floor. Instead, clean the floor thoroughly to remove dust and grit, then use “gliding” furniture pads underneath the piece to aid sliding it across the floor. Use furniture pads to place under table and chair legs and on the feet of dressers and armoires. They can be purchased at a local hardware store or home center. It is important to make an effort not to track over your wood floors with dirty shoes, or boots. When the dirt, stones and sand build up in the soles they can be left around the cabin. Over time feet grind across them acting almost as sandpaper and can damage the finish on your flooring. Simply taking your shoes off at the door can increase the life and beauty of your floor! Always remove spills promptly. While small drips of water may not harm the floor, be sure not to let excess amounts of water sit on the floor. Log cabin home maintenance is an important part of keeping your place as beautiful as the day it was delivered. 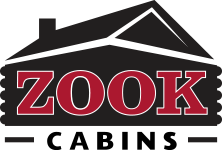 If you have any log home maintenance questions or need help tracking down stain to put on your cabin, give us a call at (610) 595-4650. With a little TLC you can keep your cabin looking as good as it did on day 1 and continue enjoying life.